Some types of stock do better than others during economic downturns. If you intend to build wealth through the stock market, you will need an understanding of the advantages and disadvantages different types of stocks offer. Blue chip and growth stocks offer completely different definitions of a revenue generating stock. Purchased in combination, these two stock types could offer the investor a way to build wealth through the stock market over the long term. Blue chip stock refers to the stock of a company that is well established, publicly traded and with a historical record of generating profit for its stockholders. Companies such as Coca Cola, IBM and The Walt Disney Company are a few examples of blue chip stock. Blue chip companies have a reputation for operating in a safe, profitable and reliable manner, are often leaders in their industry and have typically been in operation for 25 years or more. 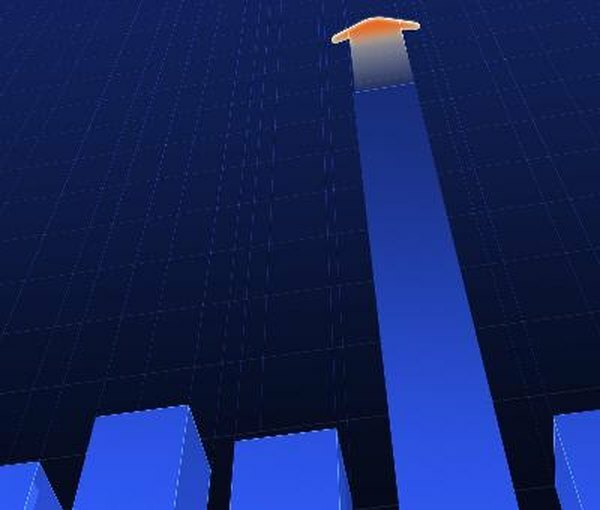 Growth stocks are generated from new-to-the-market companies showing recent earnings growth and poised to gain profit quickly in a particular industry. Growth stock companies often conduct development and research in a field of interest, such as technology or medicine, and may be considered pioneers in a particular industry. Because these companies are newly traded, they lack a track record of reliable operation. Instead of reliability, a growth stock is purchased because of the possible higher profits they could generate once the company succeeds. Blue chip stocks are considered a good investment for persons wanting to build wealth in a steady, conservative manner. Because blue chip companies are often quite large and very popular with investors, the price of their stock is generally much higher than a growth stock making them less affordable. On the other hand, growth stocks can generally be purchased for a low price and may represent a company growing and earning faster than the economy as a whole. Initially, growth stocks rarely pay dividends to investors. Blue chip stocks pay dividends in a steady manner and the amount of the dividend generally increases over time. In general, blue chip stocks present less of a risk to investors. However, during moments of economic downturn, blue chip stocks may offer a better investment because they tend to lose less overall value than a growth stock might. Growth stock, on the other hand, can grow so rapidly that a solid footing in the marketplace is difficult for the company to find. This makes it difficult for growth stock companies to continue growing during some down markets. However, growth stocks, due to their smaller size, are often able to respond in a more flexible manner to market changes. This can make it possible to take advantage of new technologies and manufacturing methods that blue chip companies might not consider worth the investment. Companies that are flexible to market changes may be able to generate more return to the investor.